You all have been working so hard getting familiar with brush pens. It really is exercise to practice the applying and releasing of pressure to get the variations in the line weights. I’m so glad you’re sticking with it! 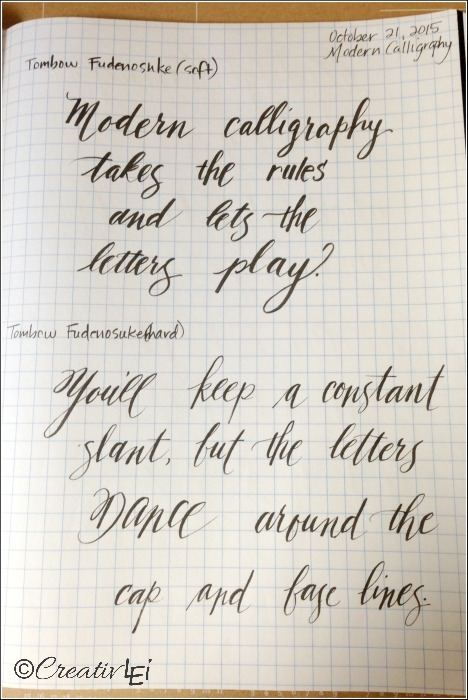 Today we look at the modern calligraphy style. 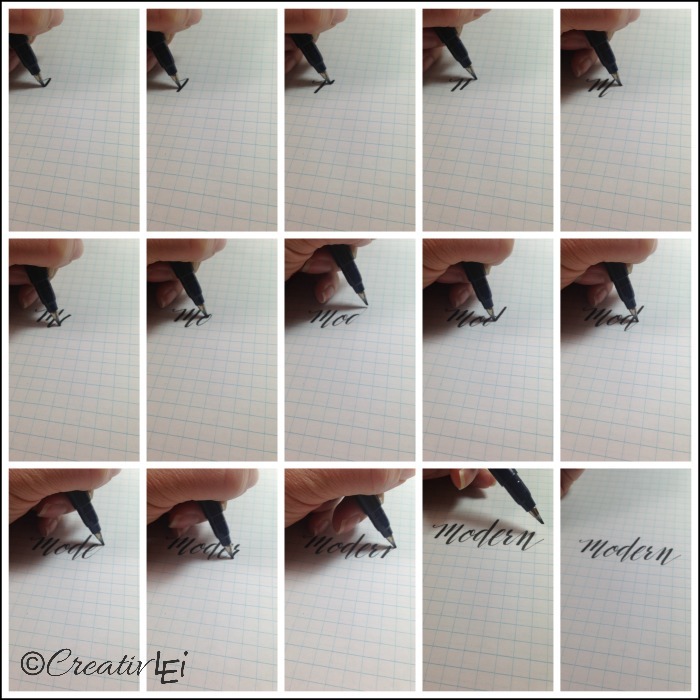 In previous weeks we used little doodles and small variations in the letters to add whimsy to our creative lettering. 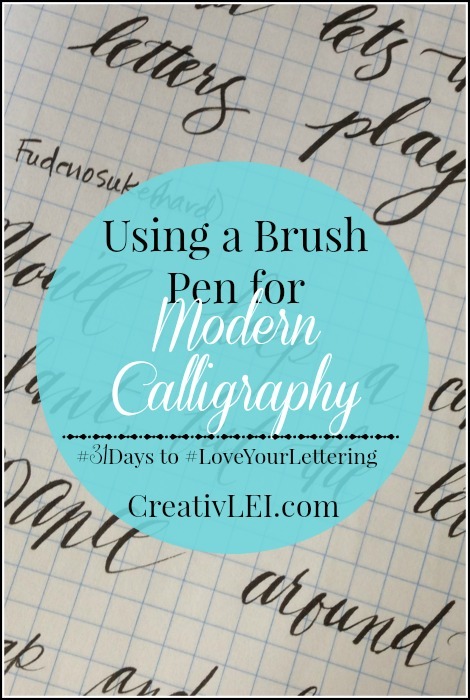 Now, to achieve a modern calligraphy look we’ll throw caution to the wind (not really), and allow the letters to cross the lines! 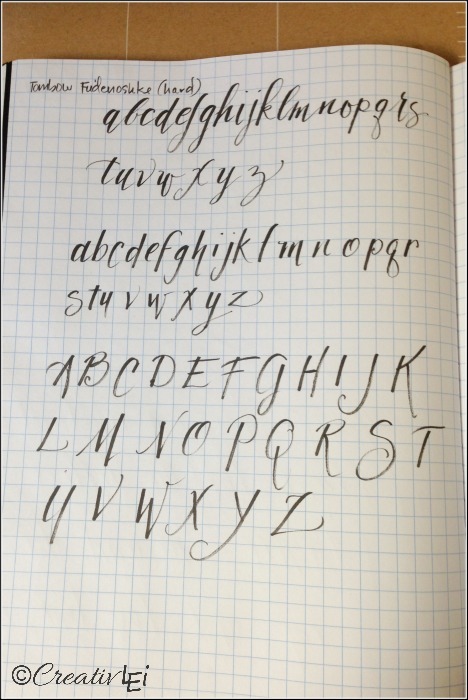 Here’s what I mean, in other lettering styles we carefully observed forming our letters between the cap and base lines, now you’re going to let the letters dance around those lines. It’s a bit tricky at first, because it’s so much easier to just stay on the lines. 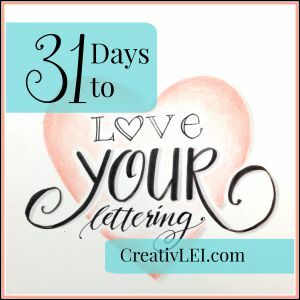 But I promise, learning to let go of that rule a bit will go a long way to growing your confidence in creative lettering. Give it a try. It might be easier to start with words. Just mix it up and play. Then you can try your hand at the alphabet and deciding which you’d like to rise and fall. Here are demonstrations of this technique from the replay on Periscope. hi Lisa, thanks so much for your posts which I enjoy very much and help me in a difficult period to focus on something positive and creative – i get lost in practice ! 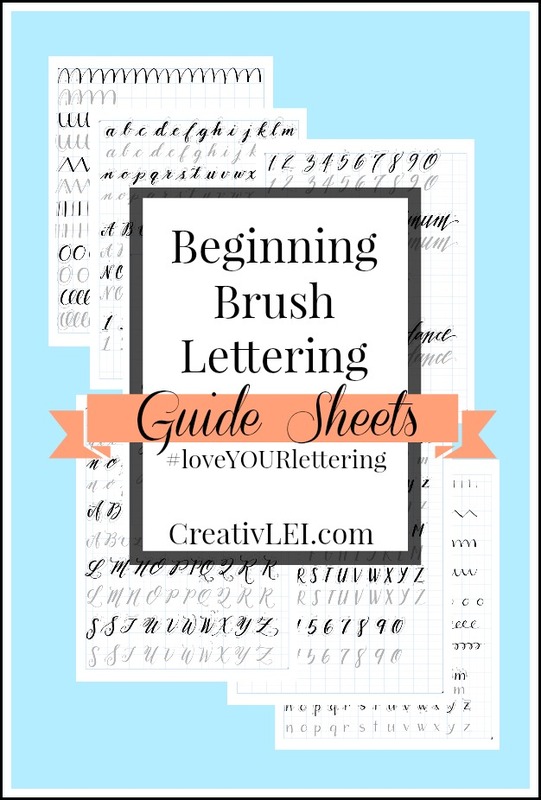 In a post you mention e-books (the post of 1st year of love your lettering, modern brush). Can you please send me the link to the e-books, I cannot find them ?